Flat rate pricing. Real time feedback. Easiest ordering process. Perfect results. We do it all – PCBs, assembly, parts sourcing. Our automated ordering system means no more phone calls, no more emails, no more waiting. Order previews mean “what you see is what you get”. Live tools mean that you can correct any issues, too. One simple price for PCBA, based on area. Use the parts that you want, as many as you need – PCBA pricing stays the same. Board level problems? We find them before you order, instantly. 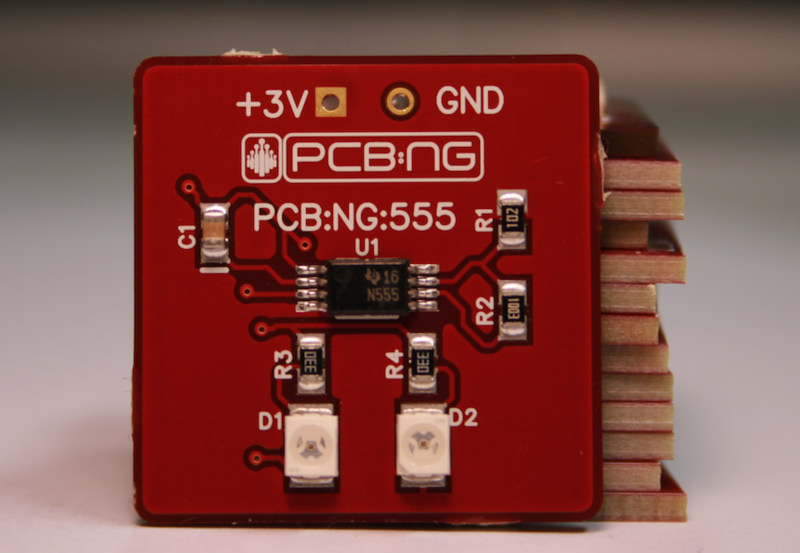 A PCB:NG exclusive feature. Did you know that the industry average PCBA order process takes 3 DAYS? Our system lets you place an order in minutes. 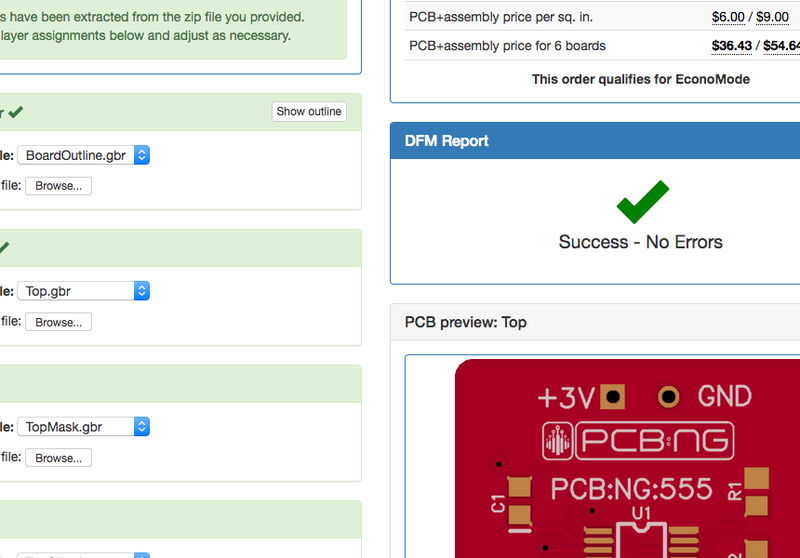 Place your PCB assembly order online, without leaving your browser, in just a few simple steps. Upload your Gerber and dril files one by one or as a zip archive. Our system automatically recognizes file names and assigns them to PCB layers. You see the PCB+assembly price quote immediatly after you upload the outline layer - no more forms to fill out or placements to count. 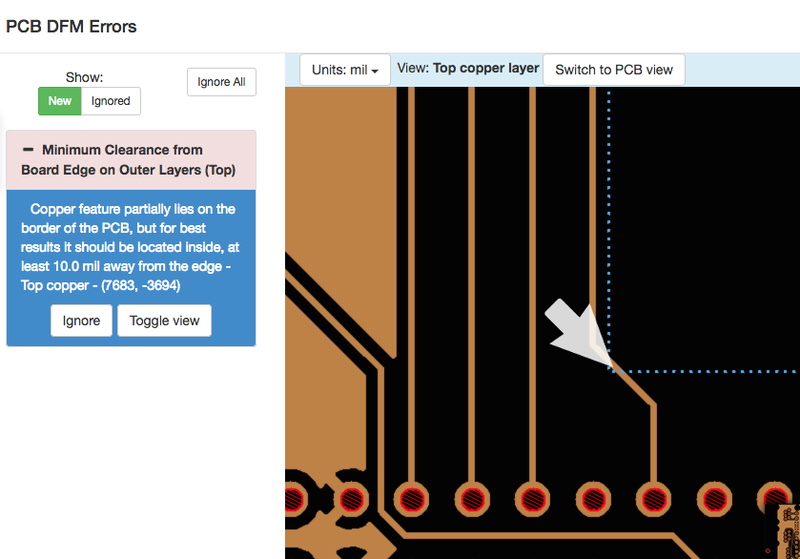 The automatically generated PCB preview allows you to make sure you are ordering the right thing. Our system analyzes your files, automatically finds manufacturability issues that might result in poor yields, and tells you how to fix those. The DFM report is generated in seconds and is delivered to you right in the browser, allowing you to review and fix the errors quickly, without waiting for some engineer to email you a confusing PDF report. Upload your BOM or build it on our site, and see real-time prices and availability of each part. 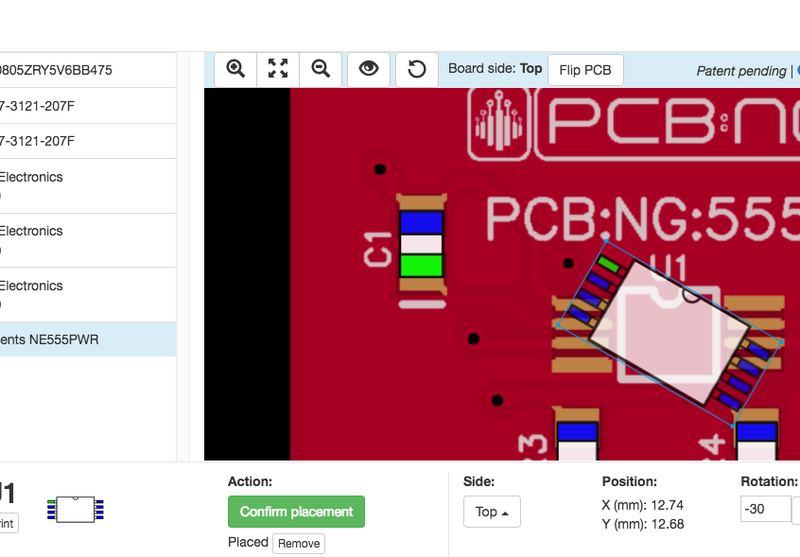 Check the position and orientation of every part on your PCB, and correct errors right in the browser to get perfect results - no more worrying about reversed LEDs. You place the order, and we take care of everything else: we source the PCBs from our carefully selected fabrication partners, get the parts from trusted distributors like Digi-Key and Mouser, and then assemble the boards at our automated Brooklyn facility and ship the final product to you. We take care of the supply chain, logistics and manufacturing so that you can focus on what you do best.